PP Sample is the short name of Pre-production sample. Pre-Production sample is one type of development sample. PP sample is made in garment factories prior to starting bulk production. PP sample is made with actual fabric, trims and accessories of the style. As per buyer instruction PP sample must be prepared by the vendor in production line, but this does not always followed by vendors. Most cases PP sample is made in sampling department under the guidance of merchandiser and sampling master. Even many times production team does not aware about the PP samples that are made in their factories. PP sample is made in one size and 3-4 PP samples are made for one style. Normally one piece for buyer, one piece for vendor (production depart) and others are made as counter sample for merchandiser and quality team. After making PP sample, vendor sends samples to buyer. Buyer cross-check sample detailing and workmanship and approve PP sample if everything is followed as per style specification. Buyer seals PP sample and sends back to vendor for bulk production reference. In cases buyer finds variation in samples they may ask for re submission for PP sample or they may confirm for bulk production with comments to be corrected in bulk production. After receiving PP sample factory normally conduct PP meeting to discuss and understand what is approved and what is not in the sample. They discuss what action to be taken to follow buyer specification and comments on the PP sample. Why factories need to make PP sample? PP sample is made as part of research and development of production. This sample is made to learn about the style, its construction, machine requirement and processes to be used to make quality product. By making they can learn what all difficulties may come at the time of bulk production. Factory takes approval for style workmanship, specs and trimming and material quality on PP sample. PP sample is an important component of PP meeting. Without approved PP sample, production meeting on the specific order/style cannot be possible. Need sealed sample for production reference and for final inspection reference. When they make PP sample? In export orders normally PP sample is made after size-set approval. PP sample must be made before bulk cutting. What kinds of approval are taken on PP sample? PP sample is last stage of sample development. In previous samples, buyer already has approved the fitting, materials and workmanship. 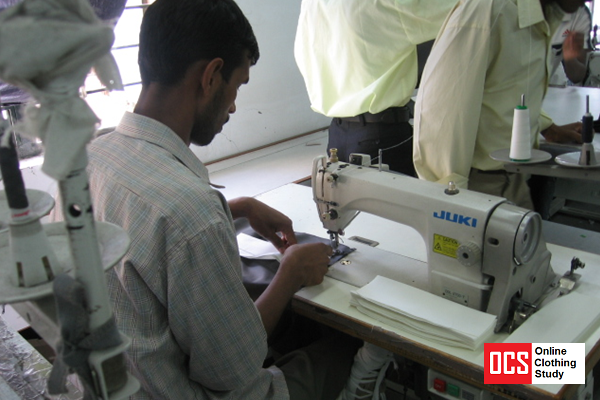 In PP sample buyer gives approval garment construction, workmanship, bulk fabrics and trims, and garment detailing. PP sample must be approved by buyer or buying house merchants (technical persons) prior to proceeding actual production.